The LFB announced in October 2007 during the Open LFB the creation of a new service: the LFB TV. The Ligue Féminine de Basketball decided to develop the concept and make games available on the internet. Last season (2006-2007) the LFB experimented with the Federation Cup and the second leg of the semi-final championships games. The second test was conducted during the Open LFB. The Ligue Féminine were satisfied with the results and decided that the service would become operational during the current season. The Ligue Féminine, with the help of CRITT Sports and Loisirs (Centre de Recherche et d’Information en Transfert Technologique) developed a stable platform. 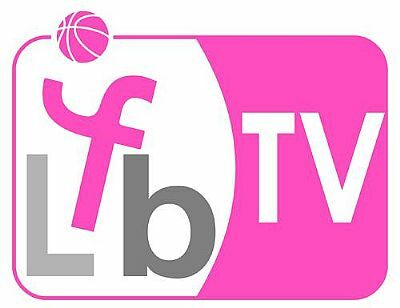 The service made its first appearance on February 1 2008 with the live streaming of the LFB match between Villeneuve d’Ascq and Bourges Basket. You will also be able to find all the videos from the Ligue Féminine de Basketball (LFB) and FIBA Europe EuroLeague Women final four by selecting the year from the drop-down menu above. For EuroLeague Women and EuroCup Women you can follow the play-by-play action by following this link on match days. For TV and webcast information then check our news action information page on match days.